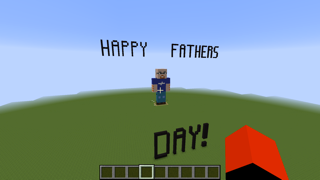 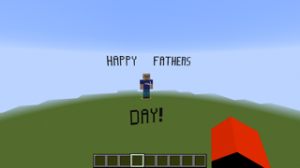 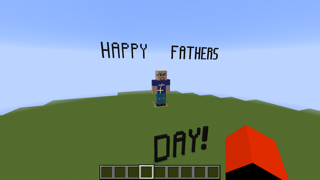 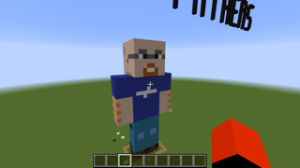 After my post about a Dad’s Guide to Minecraft, several readers requested (both in the comments below and on Twitter and FB) that I post the 100-foot statue of me that my son Ben made for Father’s Day last year. 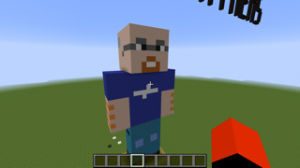 He even attempted to create a version of me wearing a Rosary Army t-shirt. Here are a few screen shots.